The Town Scryer: What's Up Entomologist? 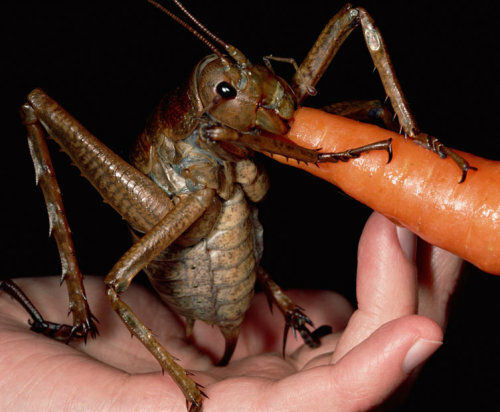 Adventurer Mark Moffett has found the world’s biggest insect - which is so huge it can eat carrots. The former park ranger discovered the giant weta up a tree and his real life Bugs Bunny has now been declared the largest ever found. He came across the cricket-like creature, which has a wing span of seven inches, after two days of searching on a tiny island. The creepy crawly is only found on Little Barrier Island, in New Zealand. The species was wiped off the mainland by rats accidentally introduced by Europeans.